Come and be inspired by the myriad of colours and forms in nature. 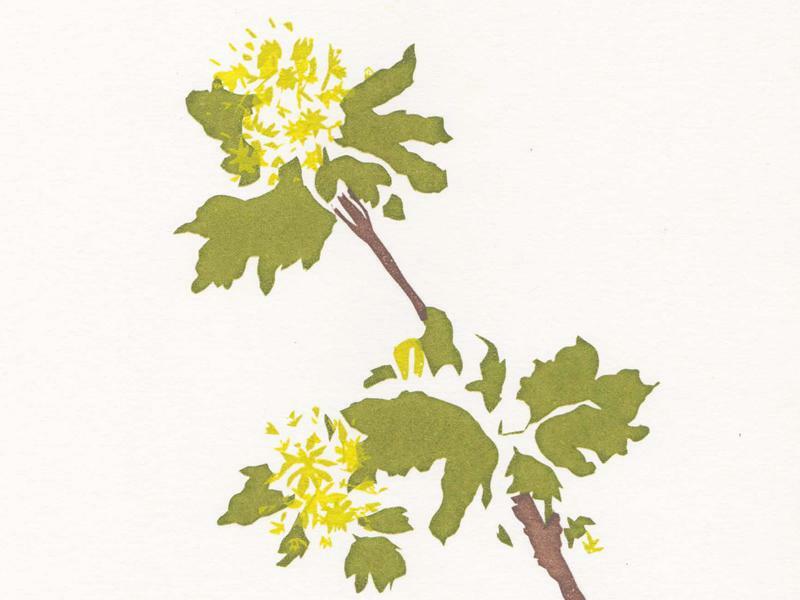 During this course you will create your own three colour screen-print inspired by the botanical forms at House for an Art Lover. In the first session you will walk and sketch in the gardens and grounds – seeing what catches your eye on that particular day, in this particular season, in this particular place. These drawings will then be brought back to the studio and in the 2nd session you will develop them into designs for screen printing. You will learn how to transform your sketches into three colour stencil designs. In the third session you will finish creating your paper cut stencils and prepare to print. The final three sessions will be practical printmaking workshops where you will gain plenty of hands on experience printing your own designs and working as a team to help others print their’s. Alongside an edition of your own design, we will create a collaborative handmade book featuring all of our designs. Learning outcomes: introduction to screen printing, introduction to paper-cut/stencil based design. List of skills: develop design skills, use of colour, colour mixing, stencil creation, sketching, observational drawing, understanding of plant structure. While we take every opportunity to ensure the details for Botanical Screen-printing are accurate, we always advise that you contact the event organiser before setting out for the event to avoid disapointment.